You need the best long term disability lawyer in your area to ensure that your case is properly handled and you receive just compensation. Finding out that you’ve sustained an injury or contracted an illness that will prevent you from being able to work for a lengthy period of time can be very life-altering. For instances such as this, many employees in America choose to set themselves up with a long term disability insurance policy. However, there are situations where your insurance provider may avoid paying out on such a policy by denying your claim. After all, these insurance providers are in the business to make money – not lose it by paying out. If this happens to you, now would be the time to seek out a proven and experience long term disability lawyer to assist with your case. Long term disability is no joking matter. Victims of denied claims should act fast and not cut corners with inexperienced attorneys. Insurance companies are often backed by legal counsel of their own and will often rely on their advice in order to pull off successful, yet still unlawful, claim denials. Simply denying claims for various reasons. In addition, it is not uncommon for these insurance providers to demand medical reports or conduct in-person investigations to research the extent of one’s injuries. Doing so can cause the injured party, who may already have problems getting out of bed in the morning, to jump through additional hoops to prove just how injured they really are. The insurance provider will often justify these excessive steps as their reasonable due diligence to prevent insurance fraud. However, the truth is that many of excessive steps are tactics to weed out a majority of claimants due to the amount of work that is required to file a simple claim. By lowering the number of claims that are even properly filed, the insurance provider will save themselves millions in potential policy payouts. Don’t let your case be caught up in the dirty tactics of insurance providers. Get ahead of the potential pitfalls by contacting a long term disability lawyer as soon as possible to guide you on the path to successful insurance claims. You may be wondering whether you can even pursue legal action against your insurance provider for denying your claim. We are here to inform you how to proceed and advise you whether you have a case or not. You should contact a lawyer as soon as possible following a denied claim by an insurance provider for a long term disability case. Call to schedule a free consultation today! If you recently found out that you will not be capable of work for awhile, you may be understandably be concerned about how you spend the money you do have. With that in mind, financing a legal team without guaranteed results may be concerning to you. That’s why our office offers contingency-based services for our potential clients that we believe have a strong case. This means no money upfront for you and no money in our pockets until you get paid as well. When you work with our team, you are choosing the perfect balance of experience and value. If you find yourself in a tough spot with a denial disability claim and are in need of a long term disability lawyer, your first step should be calling our office to schedule a consultation appointment. Potential clients enjoy the benefit of a free initial consultation and will need to schedule a meeting during normal business hours. 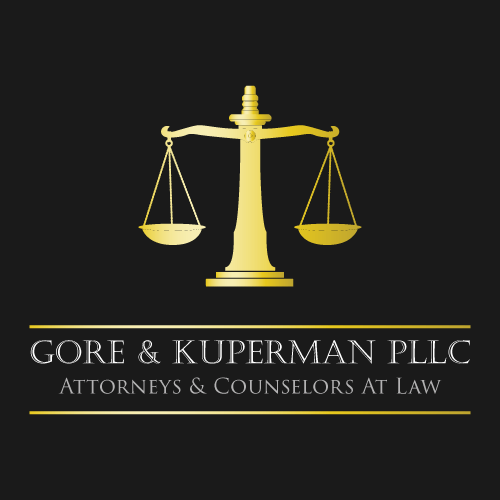 At Gore & Kuperman, you will be treated with respect and find yourself working with a legal team that truly has your best interests at heart. Call our office to schedule your free consultation today! The comments, posts, content, articles and any other material (the “Content”) viewed on this website are for informational purposes only and not for the purpose of providing legal advice. The Content should not be used as a substitute for legal advice, nor should anything read in the Content be considered as advice equal to that of an attorney. You should contact your attorney to obtain legal advice based on the specific facts surrounding your unique situation or problem.